When Cheah of No Frills Recipe made these and posted up on her blog, I told myself I want to make these unleavened flatbread for WB. I have hung up my griddle and have not used it for many months already and it is time to take it out and use it :p and thus homemade chapati came into the scene in my kitchen...easy and healthy flatbread. 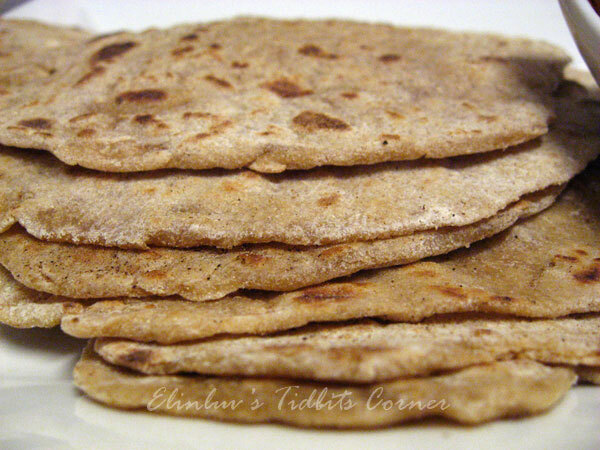 Made from atta flour and olive oil, this flatbread is the staple food of the sikh community. In a mixing bowl, mix atta flour with salt and pour in boiling hot water sparingly. Keep stirring all the time with a wooden spoon. The mixture may look dry initially. Mix by hand (the dough may be hot), add in the oil and knead dough with the heel of your hand till it doesn't stick to your hands, about 10 mins. Dough should be soft and not sticky. Add in a few drops of oil at the bottom of the mixing bowl, roll the dough over the oil. Cover the mixing bowl with a damp cloth and let the dough rest for about 45 mins to an hour. Roll out dough on a floured surface, knead for a while and roll into a cylindrical length. Cut dough about 50 gm each. Roll each piece of dough between the palms of your hands and dip into some atta flour. Roll dough out into a round, about 5 inch diameter. 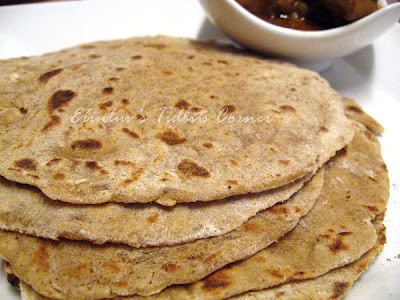 Meanwhile heat up a non-stick pan on medium fire and once the pan is hot enough, put in a piece of roti. Wait for a few seconds and when bubbles appear, flip onto the other side. Press on the bubbles with a spatula and the other parts of the roti will puff up. You can also opt to press the bubbled parts with a paper towel, dipped in oil. 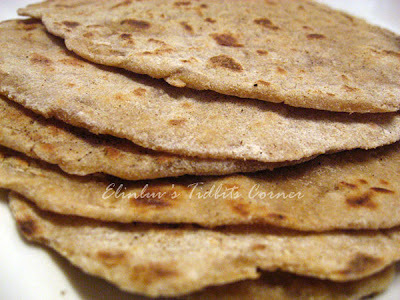 Once the roti is slightly browned and puffed up, it's cooked. 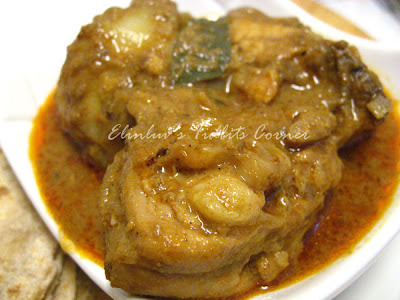 My mum used to make "roti ba-yee" that we ate with curry. I'll see if this one's the same or not. wah.. like this, we no need to mamak shop anymore! Your chappati with the chicken curry looks sooo delicious! It is making me hungry. Ohh that is cool. It looks wonderful. Very nice! I have always anted to make my own chapati. You might of just have incouraged me to do this. it's been a long time i last had chappati and i usually i just eat them plain but your curry chicken looks good, shall be waiting for your recipe! 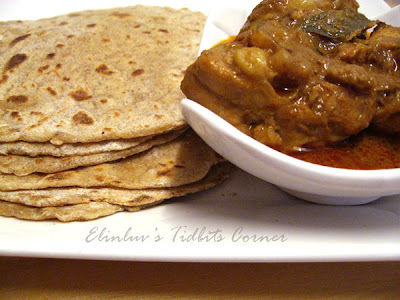 My hubs always ask me to make roti for him, this sounds fab! Yes, I have already bookmarked this recipe too from Cheah. And going to make it soon. Hopefully! haha... Yours look perfect! Hope you're having a great day.